This is a flat fee for the initial service as detailed below. If you’d like to continue with more back and forth discussion, that is billed hourly afterward. Brainstorming has an initial flat fee and more time can be added on. 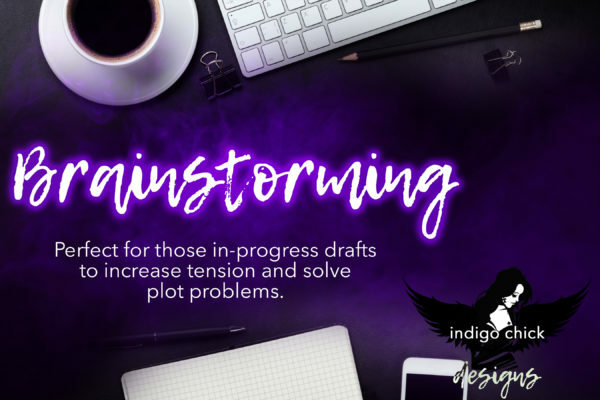 Looking to increase stakes, tension, and brainstorm plot/character elements while writing? This service is for you. The flat fee covers reading some of what you’ve written so far and your outline, plus two rounds of back and forth from me. 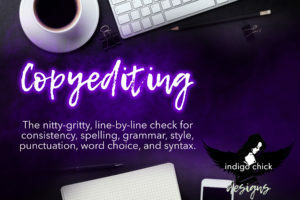 Eg: you send me your sample writing, outline(s), and an email with your initial questions/concerns. I then send an email back after I’ve read everything with my thoughts/ideas/suggestions. You then ask more questions, and I send a follow-up with more brainstorming an ideas. If you’d like to continue discussing and brainstorming after that–or at a future date–it’s $30/hr (billed in fifteen minute increments)–just let me know after my second reply that you’d like to keep going and I can invoice through PayPal later. 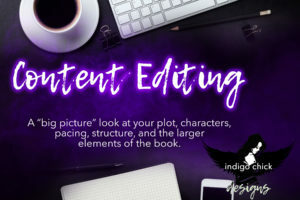 If you have more than 20K words of the manuscript written, you probably don’t need me to read all of it–I can get a sense of your writing from those opening chapters with a detailed outline–but if you’d like me to read more, we can work something out. It also doesn’t have to be the FIRST 20K–you can send other samples if there’s a specific area you’d like to brainstorm around. If you think you’re going to need a lot more back and forth, we can discuss a flat fee or budget; I watch my time and can let you know when you’re going to hit your budget. Note: This does not include editing. I am expecting a rough zero draft from you, and I’m just reading to get a sense of your story and how you write. I do not turn over a marked-up manuscript with corrections–if that’s what you’re looking for, book actual editing. Turn around is usually two to four weeks depending on current workload.